I am a scientist with a major case of wanderlust. I am always dreaming of holiday destinations I would love to be exploring and can often be found browsing the latest flight prices. So, any chance I get to merge my love for both science and travel I will jump at the opportunity. When I visit a new city or country I always want to learn something new and get those brain cell stimulated, whether that’s learning a new language, sampling the finest cuisine that country has to offer or satisfying my geeky instincts by exploring wondrous natural sights and feats of science and engineering. So, I was just going to write a two part series in this blog feature – the UK and then the rest of the world. But doing my research I have realised that there are sooooo many attractions that I want to share with you from the rest of the world and a two part series was not enough. Instead this is part two of my science and travel series where I share some of the top places to visit in and around Europe to charm the science lover in your life. You can now check out my suggestions for destinations in North America now too! So whether you are going on holiday to these countries or you live there, here are a few of the big hitters for every kind of inspired brainiac! So grab your passports and let’s go! 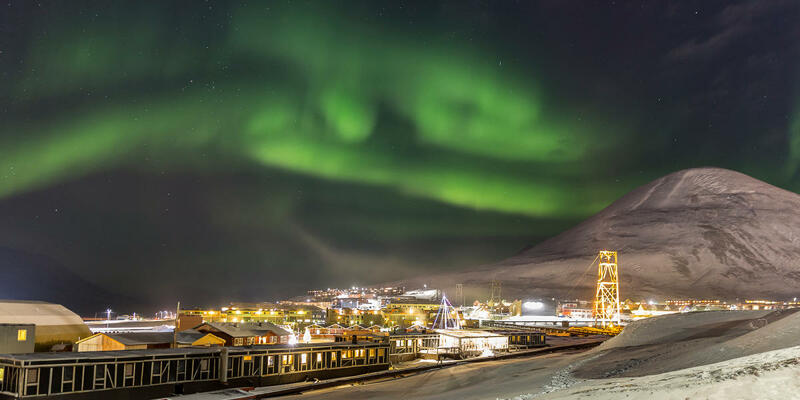 Okay, so you don’t just have to see the Aurora Borealis or Northern Lights in Norway. They can be seen in Iceland, Finland and more. But this is a must see for any science lover. The biggest and most fantastic light show put on by nature, changing colour depending on the gases in the atmosphere. As if you needed another reason to visit Iceland. As well as being a gem for learning more about glaciers, geysers and thermal springs, nowhere in Europe does the ground grumble beneath your feet as much as Iceland. The country is sliced in two by the Mid-Atlantic ridge which means it straddles the Eurasian and North American tectonic plates. There is so much to learn about science in Iceland as well as walking between North America and Europe. If you’re brave enough, some even scuba dive down in between the two plates. The home to the Large Hadron Collider – the largest and most powerful particle accelerator in the world. 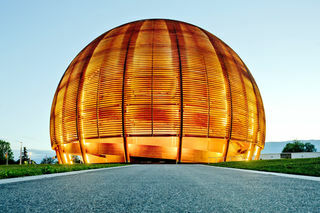 At CERN you will be immersed in what is going on at the forefront of physics and you can see the scale of engineering and technology required to help us answer some of the world’s biggest questions like ‘what are the basic building blocks of matter?’ and ‘how did the universe begin?’. It was here that the Higgs boson was discovered amongst many other discoveries. But if you want to see the LHC, you will have to limit yourself to certain times of year to visit – make sure you do you research so you’re not disappointed. Also if you want to learn more about particle physics and working as a particle physicist, check out my interview with Helena P who does just that! Marie Curie. The name of one of the most famous female scientists who all time. The Polish physicist and chemist won not one but TWO Nobel prizes and pioneered the study of radioactivity. This museum is dedicated to her life and work and as an advocate for supporting women in STEM is a top priority for me to visit to learn a little bit more about her and her discoveries. An attraction I didn’t manage to visit on my recent visit to Toulouse in France, but who doesn’t love a space theme park where you can visit their planetarium and many other interactive exhibits for example, a mock-up of a control room near the model of Ariane 5 which allows visitors to prepare the launching of a rocket, help with its flight and then place a satellite in orbit. A perfect day trip for any aspiring astronauts in your family. Take a look at my interview with Tim G from BBC’s Astronauts to learn a little more about what astronaut training and Chris Hadfield were really like. A completely unique museum all about human anatomy and the only exhibition in the world to be based on a donor program. More than 200 anatomical specimens of real human bodies show the complexity, resilience and vulnerability of the body. They show how our organs work, and the effect of common diseases. So if youre looking for something completely different then I think this one is worth a visit. Now you might be thinking what on earth has this got to do with science? Well, I pride myself on advocating for women in STEM but I know I am awful at sharing more about the M in STEM – maths! – so I am trying to change that. Take a trip to the Giant’s Causeway and learn some more about the geometry of this natural wonder. Your trip can answer why all these columns are hexagonal. Does anybody know why? Learn more about what a career in maths actually involves with one of my Scientists in the Spotlight, Ivana! Winning a Nobel Prize is the ultimate goal for many scientists. International recognition for years of research and hard work often revolutionising your area of expertise. So, perhaps then the Nobel Museum is the ultimate science destination where you can learn about the founder of the prize, Alfred Nobel as well as artifacts from some of the prize winners and much more. So, I know I’ve already written a whole blog post about science day trips to take in the UK but by no means was it a comprehensive list. There were so many that I missed out so I wanted to add this one into the Europe edition. But the Jurassic Coast in Dorset, UK is a magnet for any potential fossil hunters in your family. You can search for that perfect specimen as the the crumbling cliffsides of clays and limestone layers deposit new fossils daily. Make sure you again do your research and do any fossil hunting in a safe and eco-friendly way. Science museums are probably an obvious choice when it comes to science attractions but what about visiting the world’s largest museum of science and technology, with about 28,000 exhibited objects from 50 fields of science and technology in Munich? Surely that is one science museum to tick off the bucket list? The Atomium is an impressive 102 metre structure of the nine atoms of a molecule in steel and aluminium. The spheres can be visited and contain scientific exhibits. There is also a restaurant and the best viewpoint of Brussels in the top sphere. A must visit for any aspiring engineers or architects! Do you know any budding pilots or aeronautic engineers? 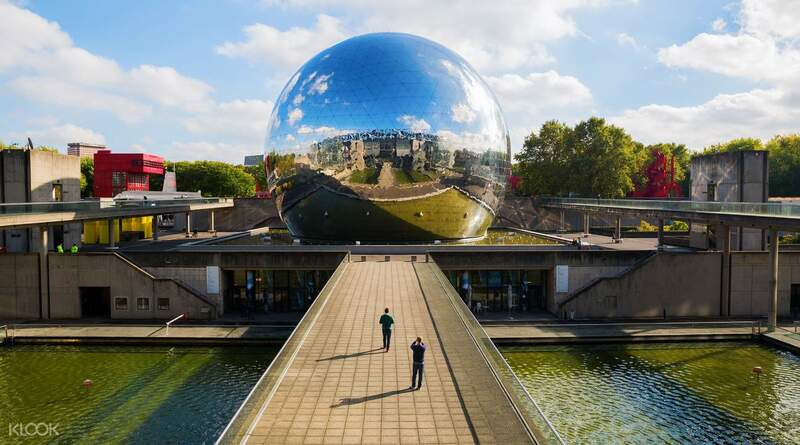 Well perhaps a trip to Paris to visit the oldest aviation museum in the world should be your next trip. 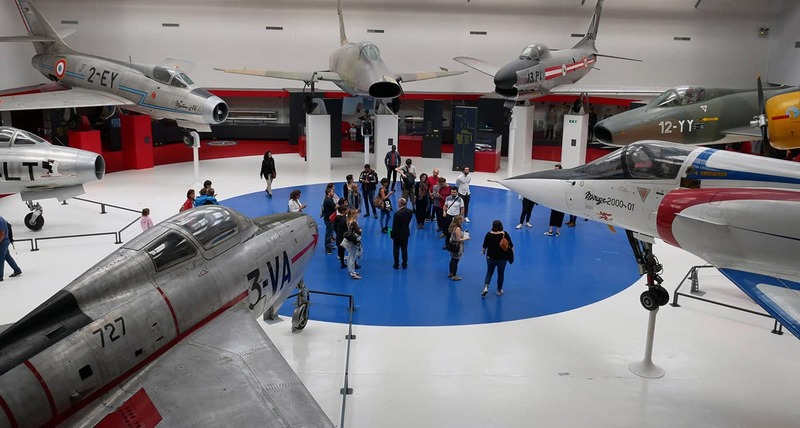 With over 150 aircraft on display as well as the prototype for Concorde and different spacecraft and rockets, this is bound to inspire young and older minds. This is another exhibition I have uncovered recently that has shot to the top of my bucket list. 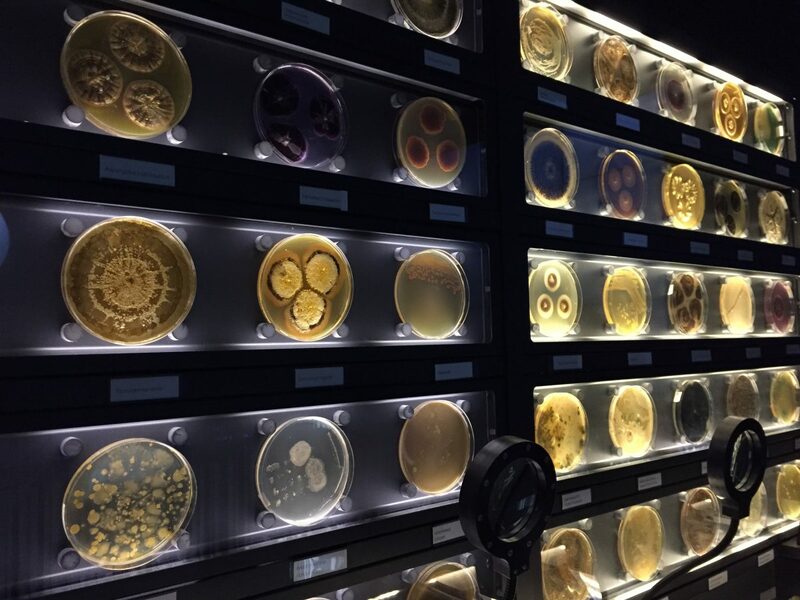 A one of a kind museum dedicated to microbes in an attempt to teach us about how they can harm us and make us sick but also how they help us in everyday life. How beautiful is this!? Take a trip to the stunning Blue Grotto in Malta. A series of caves and caverns that illuminates blue as sunlight passes through an underwater cavity and shining through the seawater to reflect the light. Albert Einstein. Perhaps one of the most famous scientific names and greatest minds of all time. 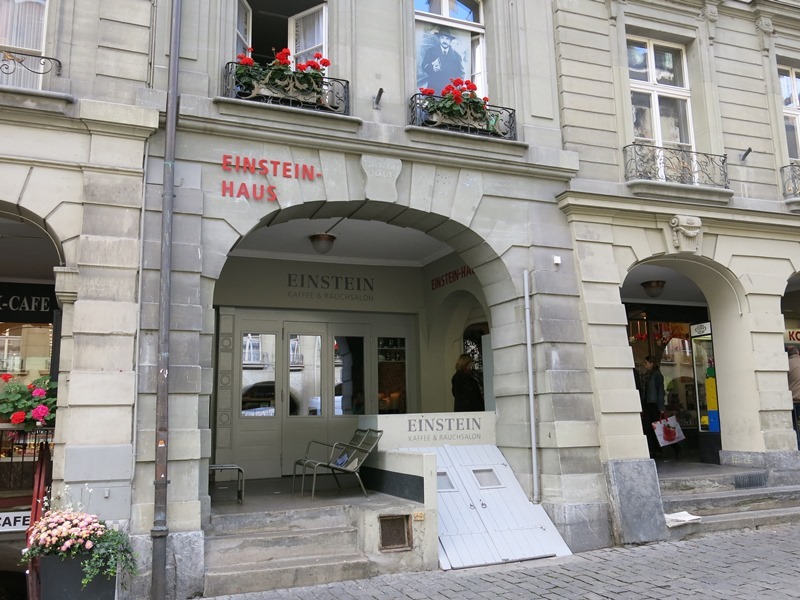 He lived in this apartment in Bern, Switzerland for around seven years with his wife and son which you can explore and discover where he came up with his Theory of Relativity. 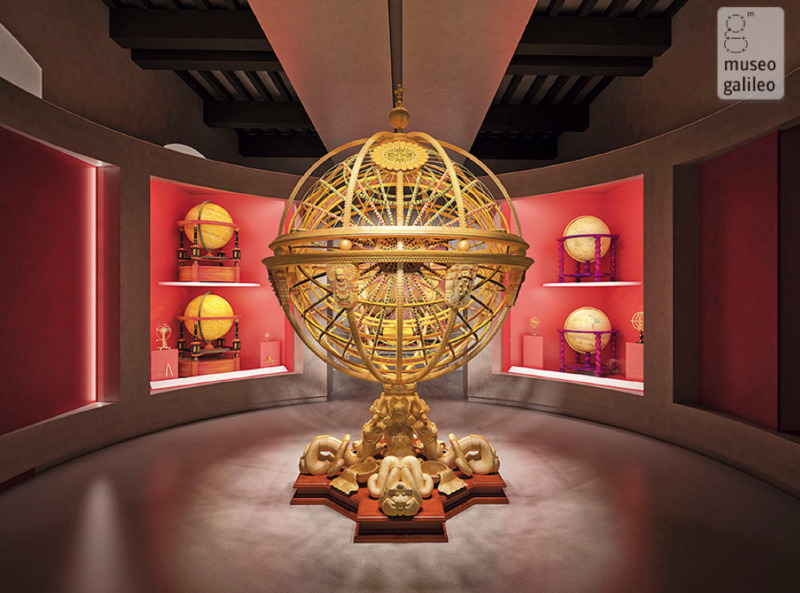 From one famous scientist to another, this museum in Florence, Italy is home to one of the world’s major collection of scientific instruments, particularly the original instruments of Galileo Galilei. Another site that you might be wondering why it has made this list. But a short trip on the train from Florence, you’ll also be visiting the spot where one of the most famous scientific experiments of all time took place. In 1589, Galileo Galilei dropped two balls of different masses from the top of the tower to show that the time it took for them to hit the ground was independent of their mass. And that principle forms a key plank of what we know about gravity. Another inspiring science museum in Paris and perfect for all the family and bound to inspire minds no matter what you’re interested in. With a planetarium, a submarine and other permanent and temporary exhibits covering anything from brains, health, and sound to transport, the universe and mathematics. 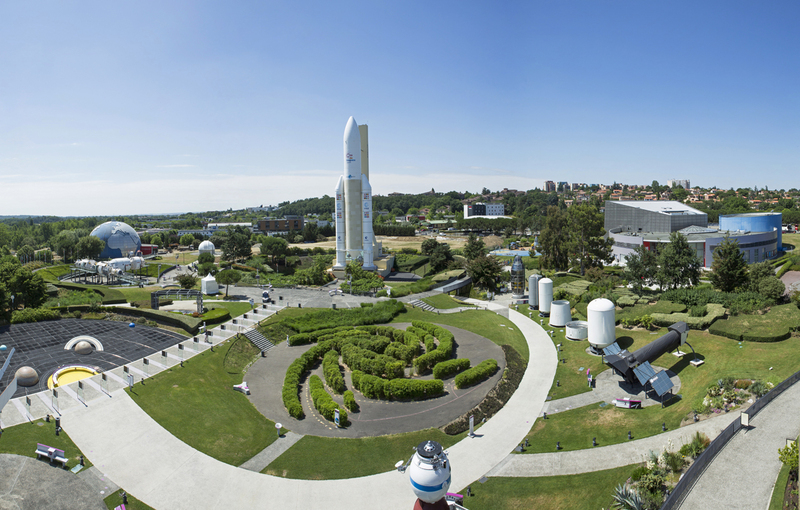 If you want to experience the wet and dry environments of the Amazon Rainforest, or learn more about the Big Bang, geological processes and exhibitions devoted to interaction such as touch and play for small children then the CosmoCaixa in Barcelona might be the ideal trip for you. Any budding vulcanologists would definitely appreciate a trip to the highest volcano in Europe and one of the most active in the world. Various hiking paths and nature trails can lead you to craters holding immense power but Mount Etna can teach you so much more about rare natural beauty and you can get involved in many more sports such as skiing or paragliding if you want to get that adrenaline pumping. 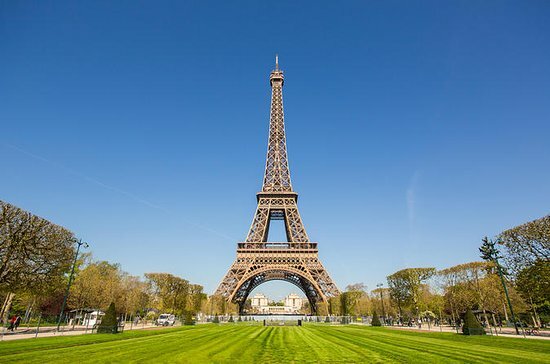 A true feat of engineering and another one to add to your list when you plan your visit to the French capital. But there’s more to this magnificent structure than just climbing your way to the top for a view over Paris. There is a behind the scenes tour where you can marvel at the engineering of the Iron Lady, which rises up more than 980 feet or 300 metres above you, and go backstage to the engine room, where you can see the mechanics of the lifts that have been taking visitors to the tower’s observation decks since the 1889 World’s Fair. An abbey in Brno, the Czech Republic’s second city, is probably not the first place you would look for a site of a major scientific breakthrough. But St Thomas’ Abbey was where Augustinian friar Gregor Mendel, the father of modern genetics, methodically grew peas to emphasise genetic traits such as size and colour and established the concept of dominant and recessive alleles. The abbey is the host of museum dedicated to Mendel’s life and work while the small garden where Mendel himself quietly cultivated peas while changing the face of science forever can be found outside. Another museum dedicated to the life and work of another scientist that revolutionised science, Louis Pasteur. The Pasteur Museum preserves the memory of Louis Pasteur with the apartment he and his family shared on the Institut’s grounds. 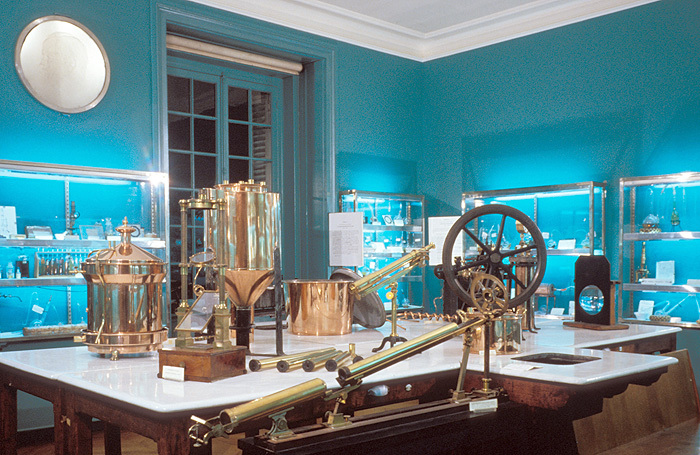 The Museum is also home to Pasteur’s laboratory equipment and scientific notebooks. Below the Museum is the funeral chapel and crypt where Pasteur and his wife are interred. Discover the beautiful Azores, located off the Atlantic coast of Portugal. Explore the lush green hills, the volcanic lakes, and botanical gardens or take a day trip to admire whales and dolphins in their natural habitat. So much science, so little time. 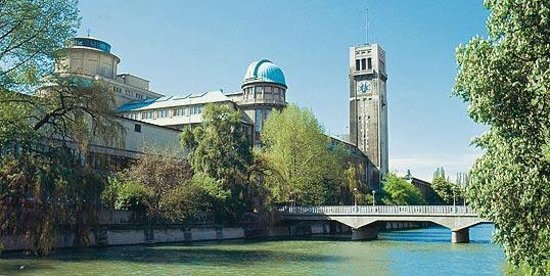 You can be inspired by Berlin’s Zoo and Aquarium, there’s Bletchley Park for computer scientists, Bonn’s Arithmeum for mathematicians… where else in Europe would you send a science lover? Or perhaps you have visited one of these attractions and you can share your experience? Tell us in the comments! If these suggestions weren’t enough and have wetted your appetite for some inspirational science travel, then check out my other STEM themed destinations in the UK and North America! Basel in Switzerland is a massive pharma hub, lots of companies based there – I spent my placement year abroad there and it was so cool to be in a city where so many people are scientists. 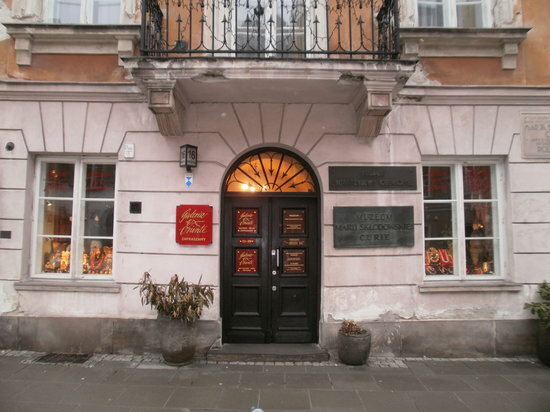 They also have a history of pharmacy museum among many others (natural history, various art museums, anatomy, music…). (1) Nemo Science Center Amsterdam, an interactive museum for the natural sciences. Great for kids and adults who like to play! (2) Also great if you like to play: The Game Science Center Berlin, which lets you explore game mechanics with beautifully made games that you can’t play anywhere else. I’ve visited the Giants Causeway (twice) and it’s massively impressive and beautiful. I however wasn’t aware of it’s mathematical significance so I guess I just have to visit again! Haha I am very jealous. It looks beautiful. Yes mathematical and geological 🙂 you will have to go back and look with different eyes again. Have you got any other STEM travel suggestions?